On 19-9-2012, the Centenary Birth Celebration of Reuben David’s was held to mark his contribution to wild life and organized by Ahmedabad Municipal Corporation at Kamla Nehru Zoological Garden, created by him. Reuben David was born in a Bene Israel Jewish family of Ahmedabad, he was not quiet educated in zoology in the traditional sense. He was a self taught veterinary who was a compassionate conservationist. In the early fifties, he was invited by the Ahmedabad Municipal Corporation to create the zoo complex in Ahmedabad. With wife Sarah and brother Dr. Jacob David’s support, he went to make the Kamla Nehru Zoological gardens, the Chacha Nehru children’s Park and the Reuben David Natural History Museum, which is named after him. 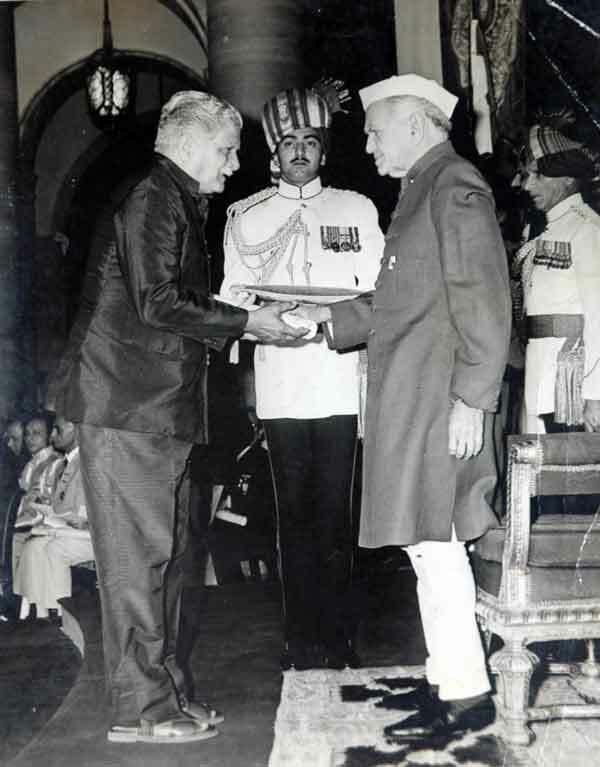 In 1975, he was honoured with the Padmashree from the Government of India for his work in the field of wild life. He also received many other felicitations from other organization. In 1968, Reuben David lost his voice due to cancer of the larynx. Twenty years, after which, he continued to work in the zoo, communicating with birds and animals with his electro larynx speech. 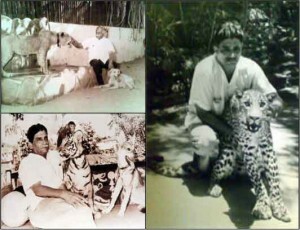 Till his end, he was a much loved personality, both by his wild pets and the people of Gujarat. Reuben David was a pioneer, not just of the Ahmedabad zoo, but of the entire Zoo Complex of the Ahmedabad Municipal Corporation, with the Kamla Nehru Zoological garden, Chacha Nehru Balvatika, an unique children’s paradise and the Reuben David Natural History Museum, which is named after him. Reuben David was known as the gentle animal keeper of Ahmedabad. He created one of the most remarkable zoo’s in India and Asia. In 1951 when the blue print of the zoo was drawn, he created a near natural habitat for animals, birds and reptiles by developing a distinct style of zoo architecture while planting innumerable trees not only in the zoo, but all around, creating a green zone. Known as the zoo complex, it encircles the Kankaria Lake. The zoo is now known as the Kamala Nehru Zoological Gardens, the children’s park is known as Chacha Nehru Balvatika and the museum is known as the Reuben David Natural History Museum. 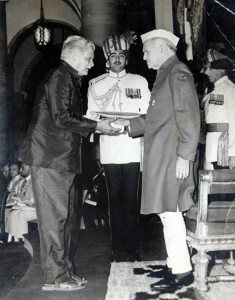 Reuben David was awarded the Padmashree in 1975, followed by a series of awards like Vishwa Gurjari award, Rotary award, Dadhichi award and many others. Reuben David was best known for breeding mugger crocodiles, flamingos and white birds and animals. He was well known for capturing birds and animals, which may have strayed into human habitation, like the Maninagar Panther, Vadnagar Panther, and Man-eating crocodiles caught from Kankaria Lake and Chaloda lake. He contributed regularly to the International Zoo Year Book, which documents all the successful breeding of birds and animals done at the Ahmedabad zoo. He was also known for his experiments in co-existence as he often taught birds and animals of opposite temperaments to live together, like Montu the lion and Tommy the dog. In 1962, Prof. John Galbraith was Ambassador of America in India and wrote about his meeting with Reuben David in his book, An Ambassador’s Journal, as he was photographed with the tiger Raju. Reuben David had also co-authored a book on The Asiatic Lion with retired chief conservator of forests government of Gujarat, M.A. Rashid. This book was published after his death by the department of Environment, Government of India in 1991. Australian anthropologist Colin Groves who discovered a prehistoric warthog in 1981, was inspired by Reuben David and named it after him, sus scrofa davidi. Reuben David’s bronze bust is now housed in the zoo premises with his first log cabin office, which overlooks the lake. The bust was made in 1962 by famous sculptor Sankho Choudhuri and later cast in bronze by Kanti Patel, the plaster copy of the same is housed at the Ahmedabad Municipal Corporation City Museum. He was also an advisor for Sundervan a nature park of Nehru Foundation. Article appeared in Hindustan Times – by Khushwant Singh – When Steve Irwin, the famous crocodile hunter was killed by a sting Ray in September, last year, I had concluded that only Australia produced daredevils who could capture dangerous animals like crocodiles, alligators and venomous snakes with their bare hands. I was wrong. Many Indians have being doing so down the generations and do so to this day. Among the most famous was Reuben David of Ahmedabad. He not only captured crocodiles and snakes but also tigers, lions, langoors, bears and a variety of birds in his home and the zoo he set up. He formulated his own herbal medicines to keep his friends in good shape. His life story has been written by his daughter Esther David. Her line drawings illustrate how close he was to birds and beasts :he had been living with them. He sat by a female crocodile while she was laying her eggs and helped her to incubate them. It is a true life story of how harmonious human-animal relationships can be, any person who gives his love to an animal or bird will have it returned in full measure. The book is specially meant for teenagers but makes an equally fascinating read for grown-ups.